Autumn is almost done and Winter is finally here guys, so it's time to rotate the wardrobe. Time for layers and boots and warm tones to make those chilly days a little warmer. I always reach for rich vibrant colours to brighten up my outfits in the winter months. I hate being cold, so I prefer to layer items up. Every winter wardrobe needs a few staples so I'm gonna show you three items which I am LIVING for from Yours Clothing. The first one is this gorgeous fur trim coat, which is really versatile. I spend all my week at work so I need have a coat that is smart enough to wear to office as well as being able to wear it out on the town. This coat ticks all my boxes, plus it is SO warm! 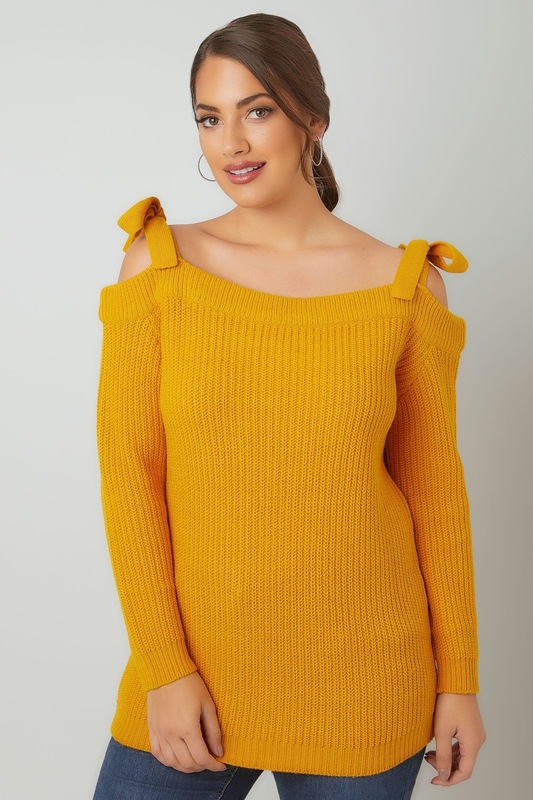 There are four shades which sum up Autumn for me, wine, deep green, burnt orange and MUSTARD so you know that this jumper was never gonna pass me by. It's perfect and it fits like a dream. I love the fact that it's basically a bardot jumper but with these cutesy little bows which add a lil' summat extra! Kat went to All Star Lanes for a Hen do wearing a pair of size 6 wide fit boots. Kat gave said bowling alley her boots in exchange for a pair of bowling shoes. Kat returned an hour later and All Star Lanes had managed to give Kat's size 6 wide fit boots to someone else and left her with exactly the same boots but in a size 5 and not wide fit! KAT WORE BOWLING SHOES HOME! #Bootgate - ladies and gentlemen! I am so angry - I LOVED THOSE BOOTS! Surely you guys understand that the struggle is real when it comes to finding boots that werk, so needless to say I am on the hunt for a new pair of thigh high wide fit boots which are as comfy as my missing boots. I have all these items lined up for an outfit for this weekend so you will get to see how I styled this outfit all together. 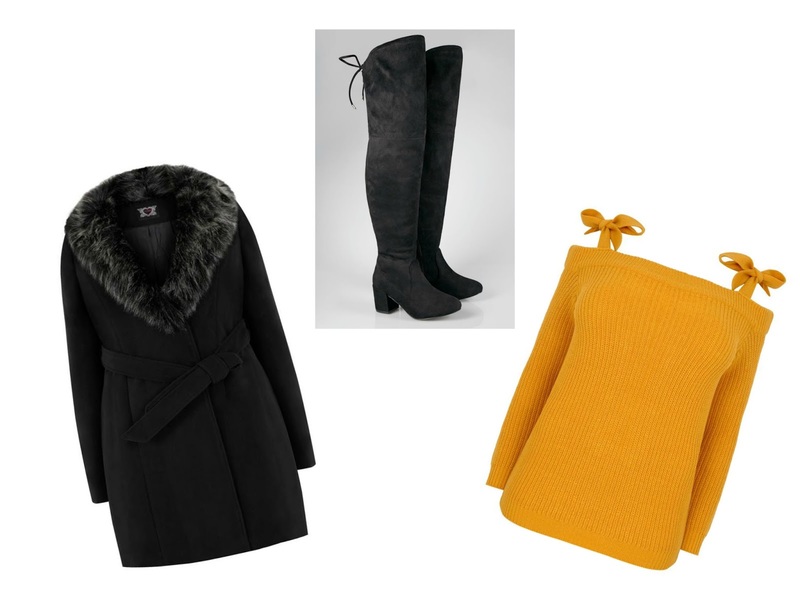 What are your winter wardrobe must haves?